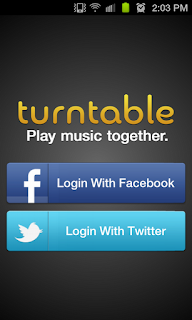 turntable.fm is a music sharing service. 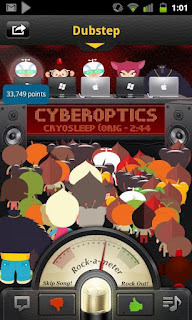 You and four of your best buddies log in to a virtual dance floor, create playlists, and take turns playing songs for a room full of listeners who can then vote your songs up or down. DJs can accrue points, get swag, and become virtual DJ legends. Or, if you prefer, just sit back and enjoy rooms full of hand-selected music. 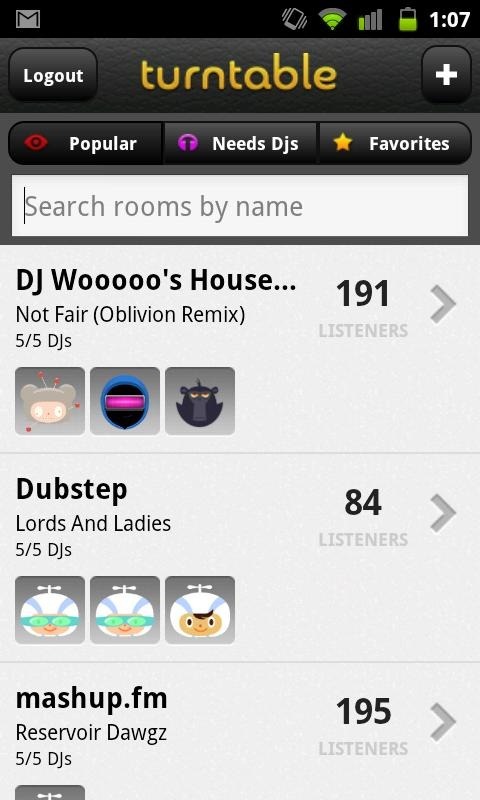 Take that, Pandora! 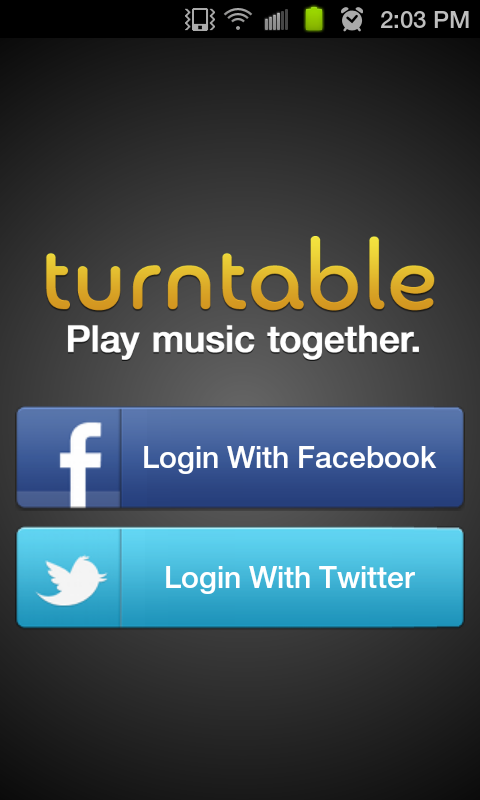 Turntable.Fm has been available for a little over a year online, and the company has also created an iOS app. So, now it's our turn, everyone! Or, everyone, that is, from the US. Unfortunately, international music streaming rights are still confusing as heck.